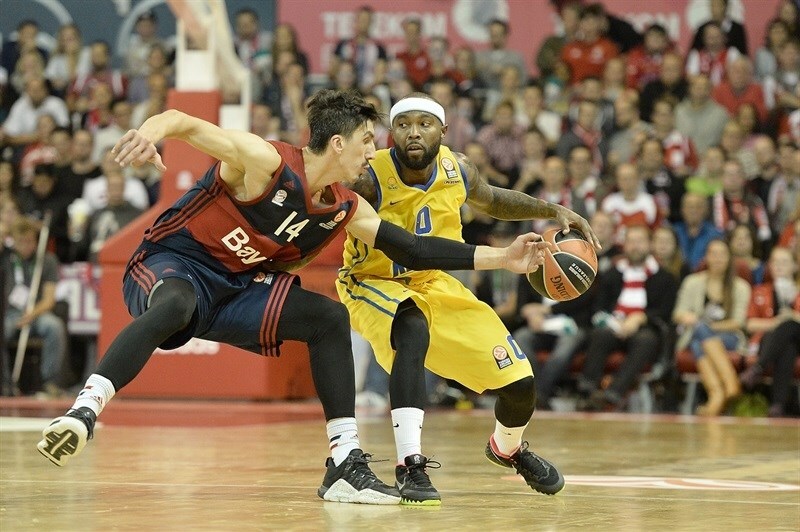 Bayern charges into win column over Khimki! 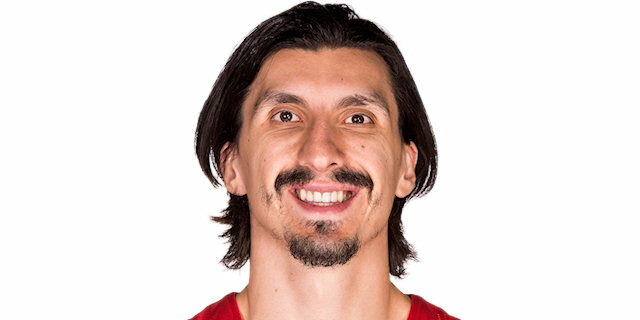 FC Bayern Munich used its first home game of the season to send a message in Group A by dominating Khimki Moscow Region to win 69-60 before its delighted fans. Both teams now have 1-1 records. 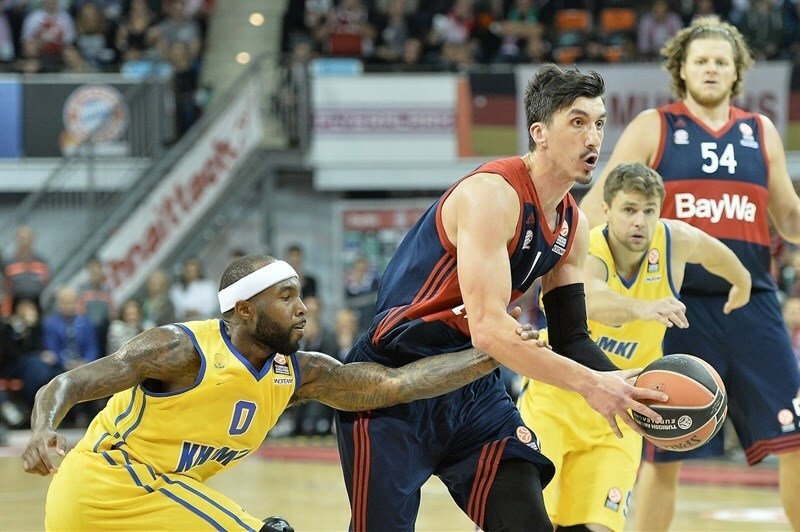 Bayern followed Nihad Djedovic to early leads that reached as high as 17 points after halftime when Alex Renfroe and Deon Thompson started connecting. Khimki rallied behind Alexey Shved to within 61-55 early in the fourth, but defense and leadership from Dusko Savanovic helped preserve a wide margin of victory for the hosts. Djedovic finished with 16 points and K.C. Rivers 15. Thompson was a difference-maker with 12 points and 4 steals, while Renfroe had 10 points, 11 rebounds and 5 assists for the winners. Shved led the visitors with 16 points while James Augustine starred with 15 points and 12 rebounds and Tyrese Rice added 11 points, 6 assists. 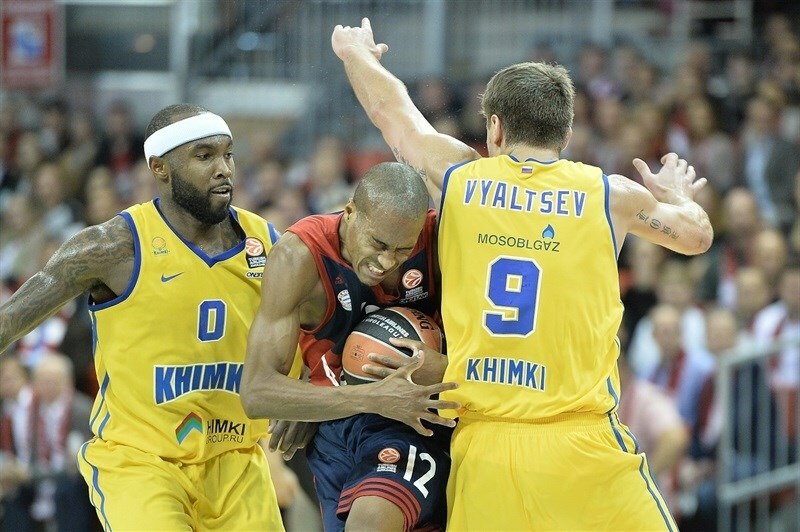 Khimki suffered, however, from 19 turnovers. Rice fed Augustine for a hook shot and the game's first score for the visitors. Djedovic found room for a jump shot to tie 2-2. It was Augustine putting back an offensive rebound and Djedovic driving for a layup to keep the tie at 4-4. Next to score was Bayern captain Bryce Taylor with free throws, his first points of the season after missing the opener with injury. 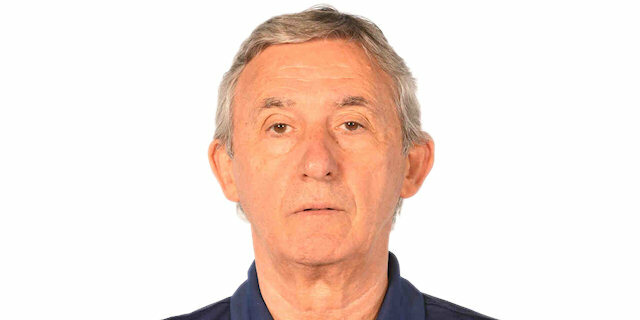 Shved matched him before Djedovic took over with the game's first three-point shot, which he followed with a three-point fastbreak-plus-free throw at 12-6. Djedovic had 10 of those points already. Shved and Alex Renfroe traded inside baskets before Djedovic finished another break to make it 16-8. Rivers joined the Bayern running game with his own three-point play for a high lead til then of 19-8. 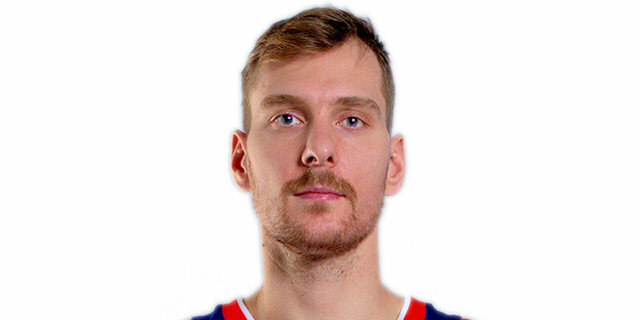 But no sooner did he do that than Taylor Honeycutt answered for Khimki with a corner triple and Ruslan Pateev slammed alone, quickly cutting the difference. When Petteri Koponen joined Khimki's scorers with a layup and free throw, it was suddenly 19-16. 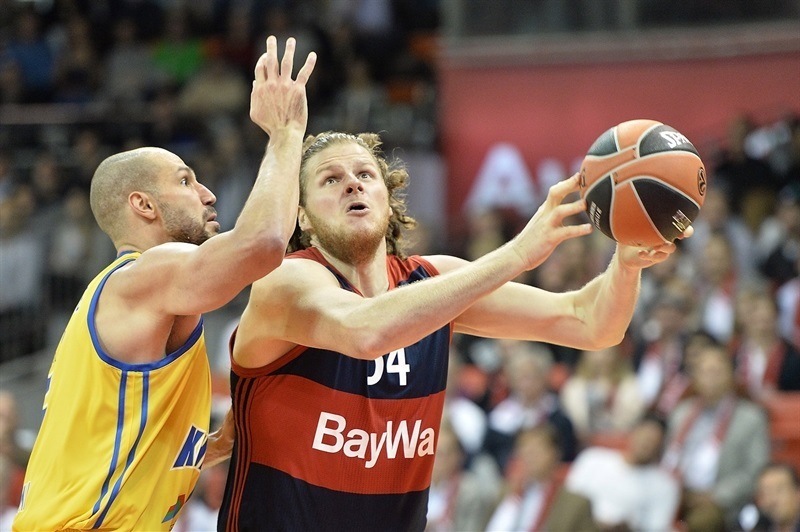 Anton Gavel answered from the top of the arc to end the quarter with Bayern in front 22-16. Bayern went inside twice to big man Bryant to build its lead back to double digits, 26-16. Rivers added a basket for the game's biggest lead yet, 28-16. Pateev got those back with a quick shot inside, but couldn't add the free throw, but Paul Zipser did for Bayern following his strong drive to the hoop to make it 31-18. The game's first lull in scoring ended with Bayern still defending and running strong, with Savanovic feeding Rivers at 33-18, forcing a Khimki timeout. 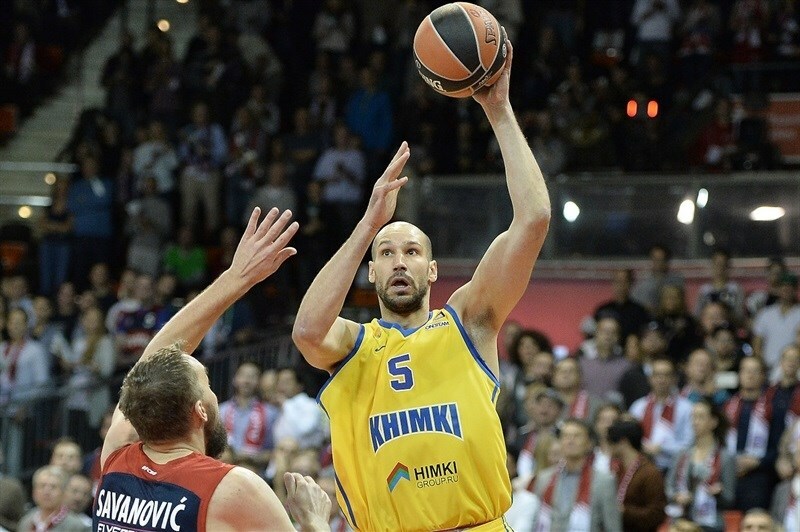 Khimki moved the ball and found Rice for a three-pointer, but gave up an offensive rebound that resulted in Thompson hitting a shot for Bayern. When Shved came the other way for a strike from the corner, it was 35-24 and the hosts took a timeout. Renfroe's inbounds pass from the baseline soon found Rivers for an open three-pointer at 38-24. Augustine made good on 2 free throws for Khimki, but Bayern ran for another break, finished by Taylor to make it 40-26. Renfroe connected with Thompson next to make it 44-26. That was offset by Shved's back-door reverse layup and his three-pointer to finish the half giving the visitors hope again at 45-31. To start the second half, Koponen struck first from three-point distance to get the difference down to single digits for Khimki. But the visitors then let Renfroe waltz to the basket before he passed to Thompson for a rim-rocking slam at 49-34. Another wide-open layup presented itself as Savanovic assisted Djedovic to make it 51-34, the high lead of the night thus far. Shved fed Rice for a triple as Khimki tried to regroup, down 51-37 with plenty of time left. MarkoTodorovic passed to Augustine for an easy 2 points before Renfroe and Rice traded driving layups at 53-41. Out of a timeout, Thompson continued scoring inside while Khimki got a rare shot from the arc courtesy of Egor Vyaltsev at 55-44. Shved then turned the corner for a layup at 55-46, forcing a Bayern timeout. Rivers stepped up with a big triple that dropped over the front of the rim to make it 58-46. Next, Augustine lowered the difference by finishing a nice pass with a super slam. 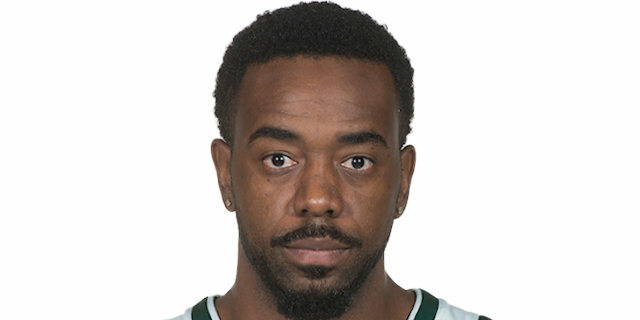 But he wasn't done, and with time running out, Augustine just got off the quarter's last shot, a three-pointer, to get Khimki closer than at had been for some time, 59-51, after 30 minutes. 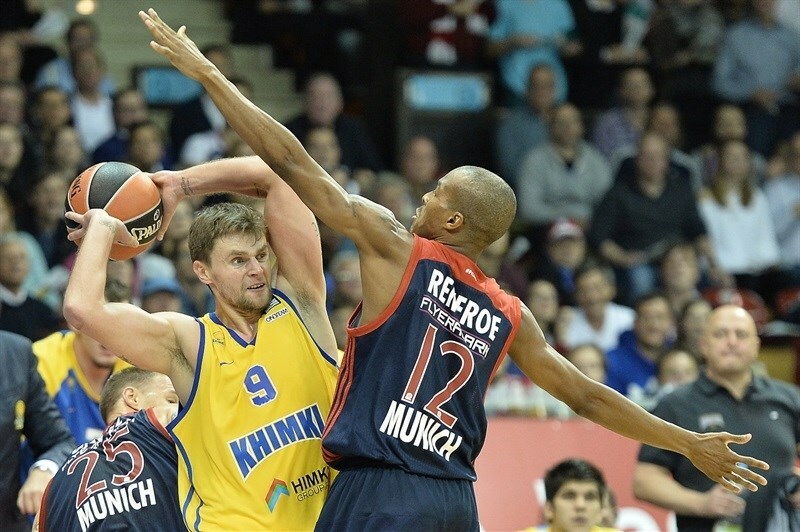 Vyaltsev's free throws and an acrobatic fall-back shot by Shved got Khimki within 61-55 early in the fourth quarter. Savanovic found Thompson for a layup before the offenses went into a holding pattern during which Shved failed to knock down a couple of open threes. Bayern ended the drought with Thompson spinning for a bank shot and a new double-digit lead, 65-55. Out of a Khimki timeout, Bayern forced a 24-second violation, leaving the hosts that much more confident with under 5 minutes left. There the score stalled until Savanovic went up-and-under for a 67-55 difference. Bayern didn't score, however, while Rice downed a triple and Augustine made a put-back at 67-60. But there were only 12 seconds left then, and when Rivers got to the free throw line and was perfect, Bayern's first victory was secure. "We had a good performance and we controlled the whole game thanks to our very good defense on Rice and under the basket by Dusko and Deon. A lot of players played good defense. Unfortunately we didn’t play as well as we could on offense. We created a lot of open shots but we didn’t make them. But if we can repeat this performance in the next game then we will hit those open shots. 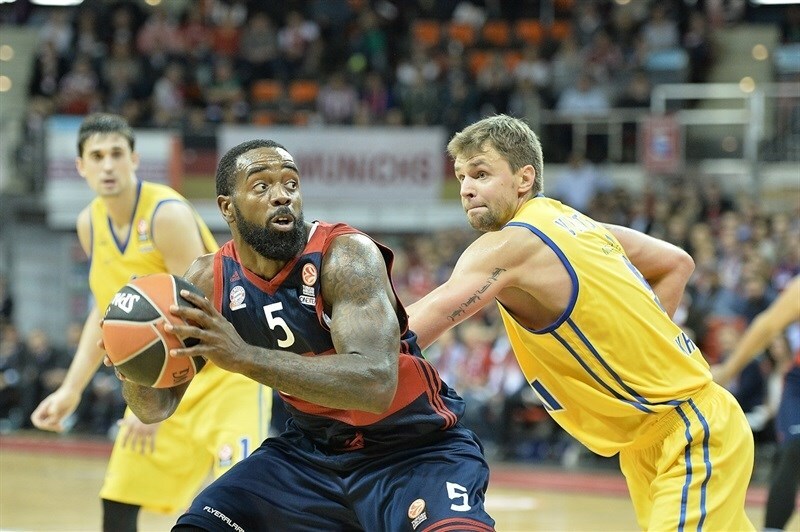 Khimki had two very important games within a week with Madrid and then CSKA. They take a lot of energy. We also had a game on Monday that took a lot of energy because we didn’t play very well. 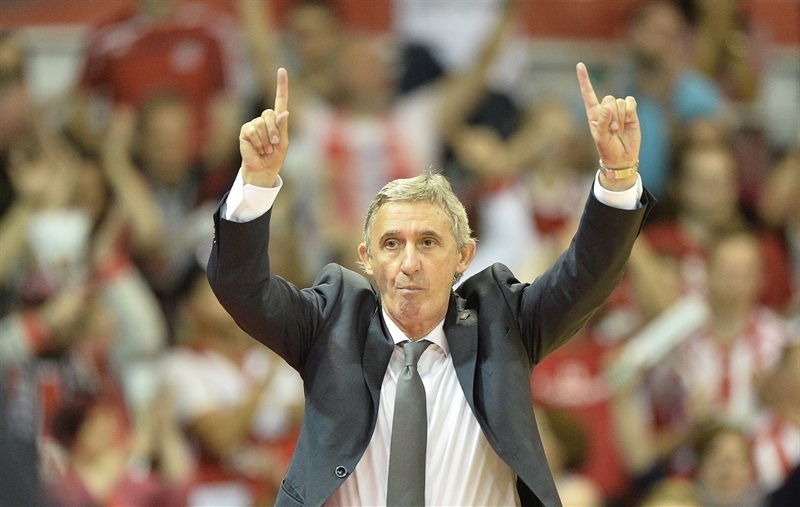 It was important that we won our first game in the Euroleague. These wins give you more confidence. We also saw that we are not weak on defense." "They did a great job. The first game against Fenerbahce, they also did a great job. We knew that and that they are a good team. We didn’t have any chance tonight. They took control from the beginning to the end, but it happens. But now we have to prepare ourselves for the next game at home. We didn’t have time to practice after the games against Real Madrid and then CSKA. It’s not an excuse, it’s just the games we have to play." "It was a good start for us. No game is perfect. We did our best, we played our defense the best we could. We wanted it, especially for our fans. Tonight we just fought hard and gave every ounce and we succeeded tonight. 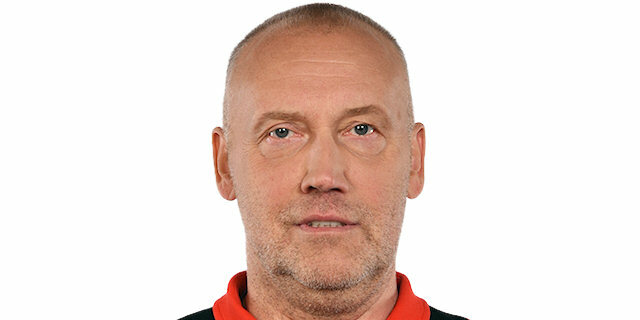 Khimki is such a great team that when they make a comeback you have to calm down and get your self back into a groove, be patient and try to get easy buckets. We feel good but this is Euroleague. Last year I went through it. You win a lot of games but then you lose some. 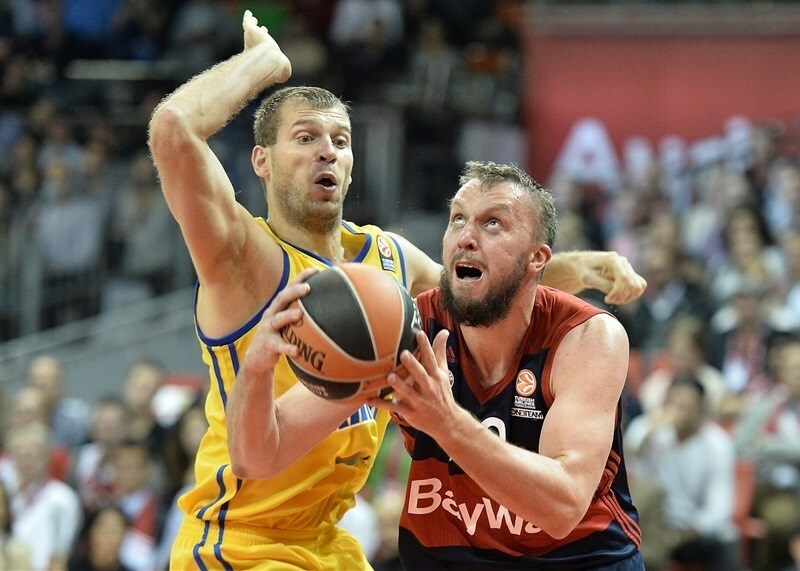 Everybody is up for their Euroleague games. You have to be prepared and ready to fight and each game is a tough game regardless of the opponent." "We can be proud. We played a complete game against a team, Khimki, that has top-level talent in European basketball. I think we showed good chemistry offensively and defensively. We did everything that our coach wanted from us. Of course, it wasn't a perfect game, but we are happy we won. 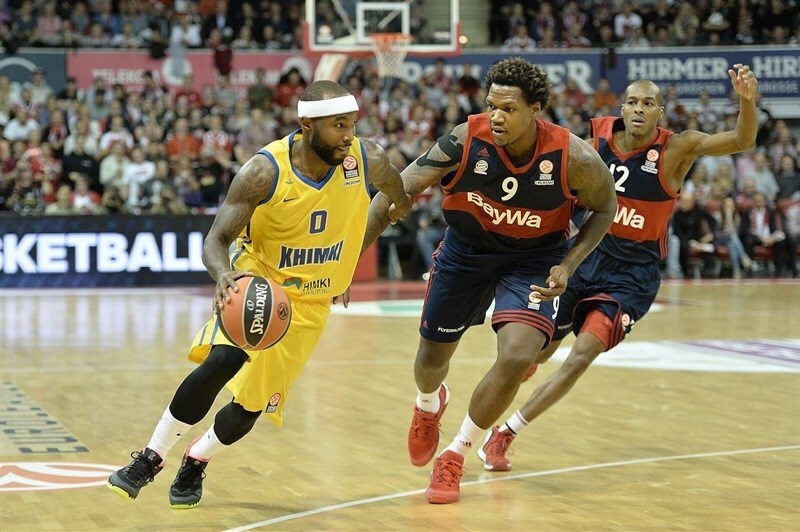 Like everybody saw, we kept and unbelievably athletic team like Khimki to 60 points. That says how we played defense tonight. We will see. We will go step by step. We found our game against a good team like Khimki tonight. And we'll keep trying for our goal, the Top 16." "That was the first away game and we knew it would be a tough game. We didn’t play the way we needed to in the first half. In the third quarter we got closer but it was too late. We didn’t have enough pressure on them in the first half and we didn’t run our sets like we need to run and we missed a lot of open shots. We cannot play so soft. We have to play every Euroleague game strong. Every win is important in this competition."